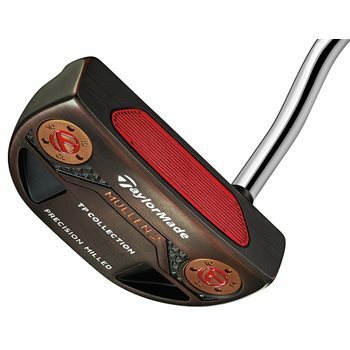 The TaylorMade TP Black Copper Collection putters are designed with a Pure Roll insert to provide optimal forward roll and aluminum insert for a firm feel. Strategically positioned high contrast sightlines makes alignment easier and adjustable sole weights deliver optimal head weight. The TP Black Copper Collection putters undergo a unique triple-plating process to take on a dark, rustic finish and are hand polished to reveal copper accents along the edges. The Mullen 2 offers a mallet-style head with a clean and compact shape, a double bend hosel, face balanced hang, 3/4 offset shaft and two 10g sole weights.